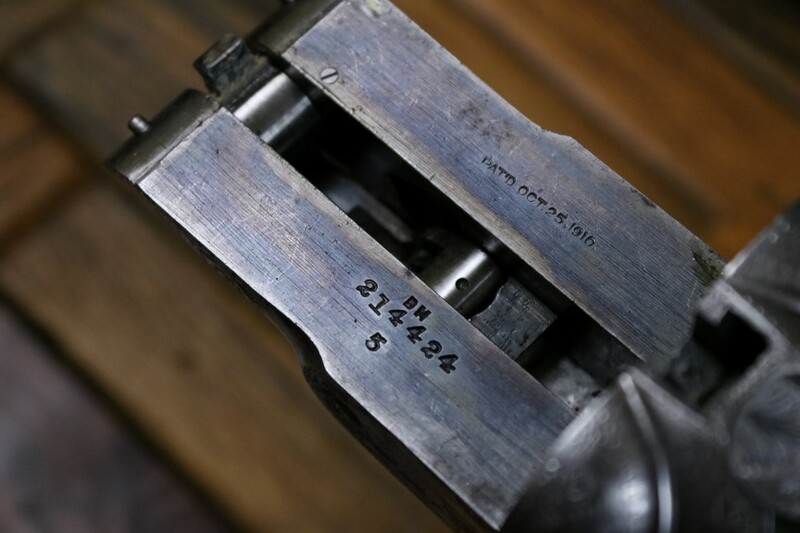 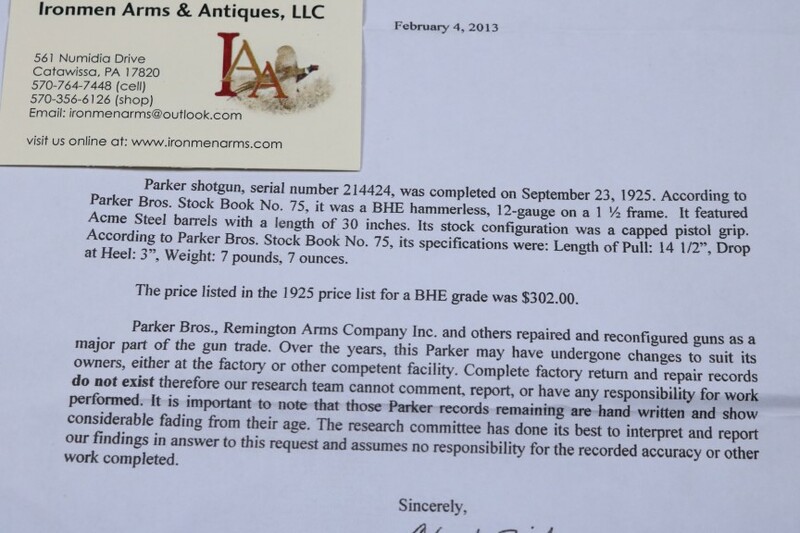 Parker BHE 12 Gauge Serial number 214424. 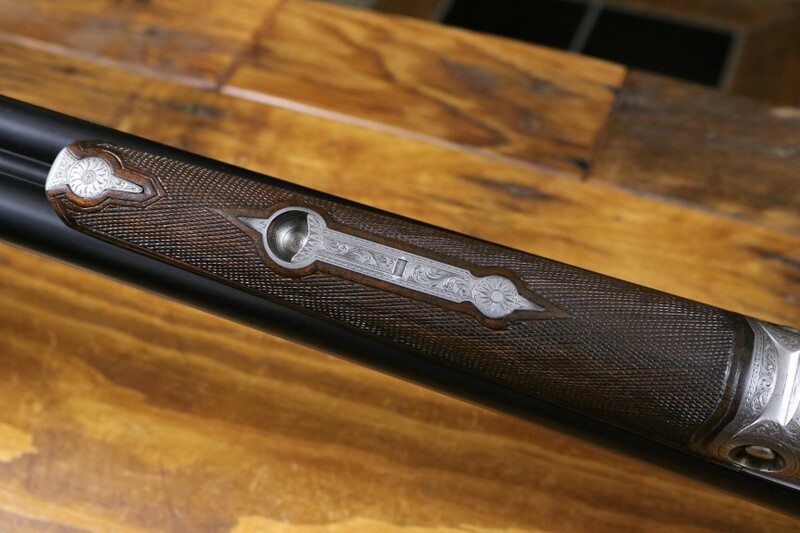 This is a great High grade Parker Double Barrel. 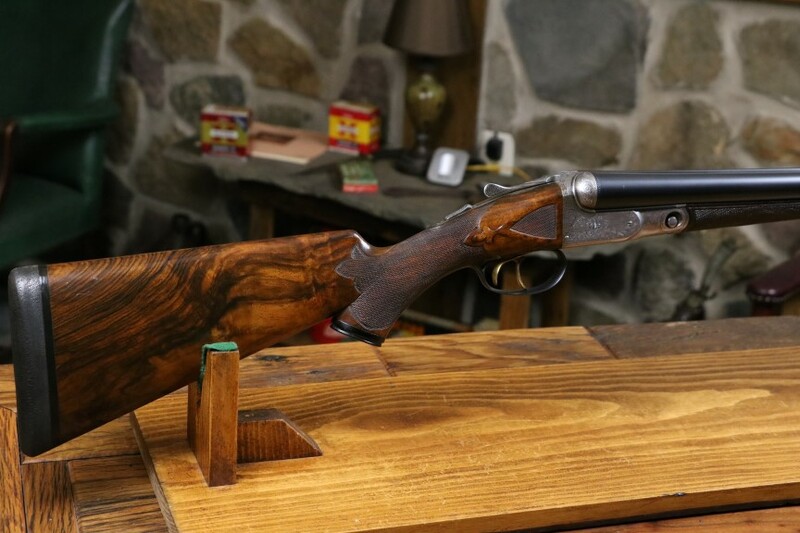 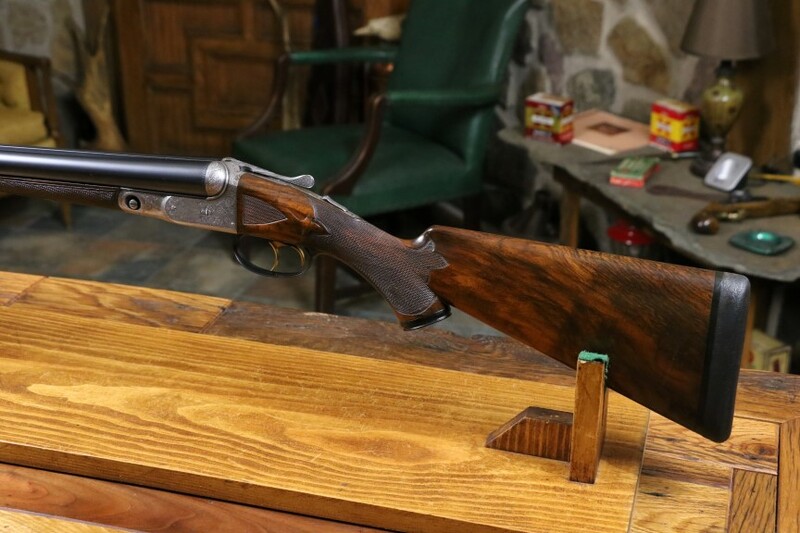 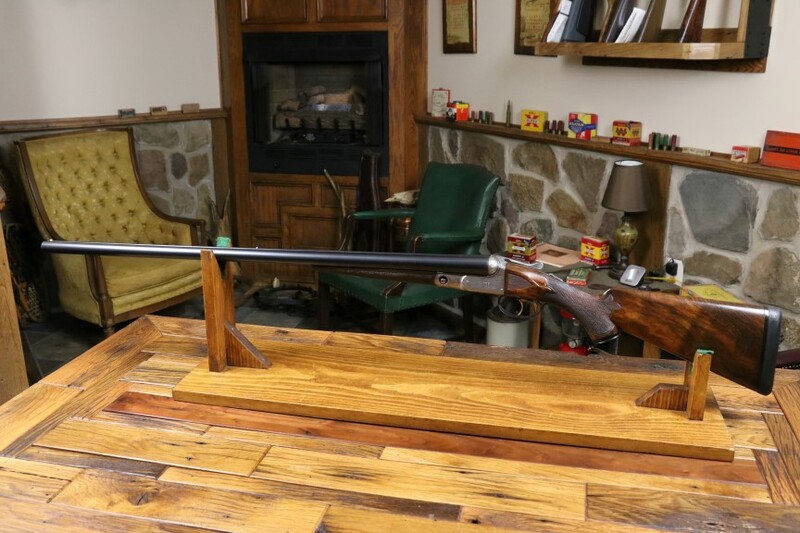 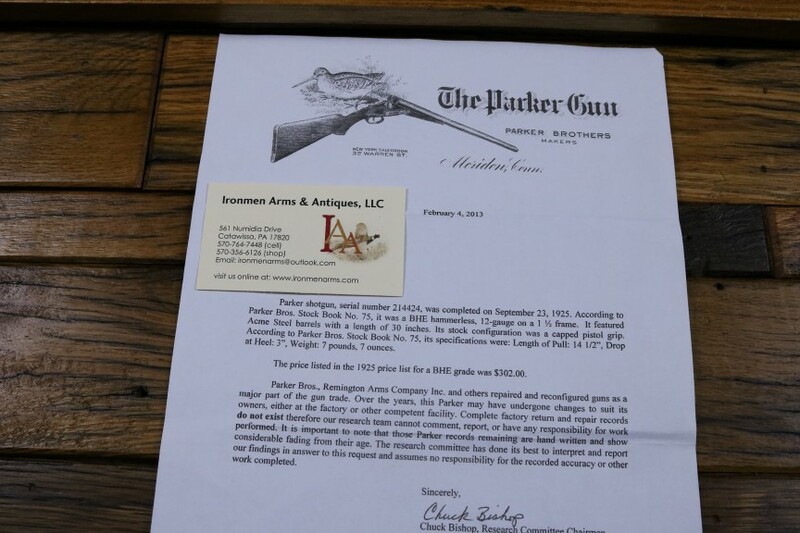 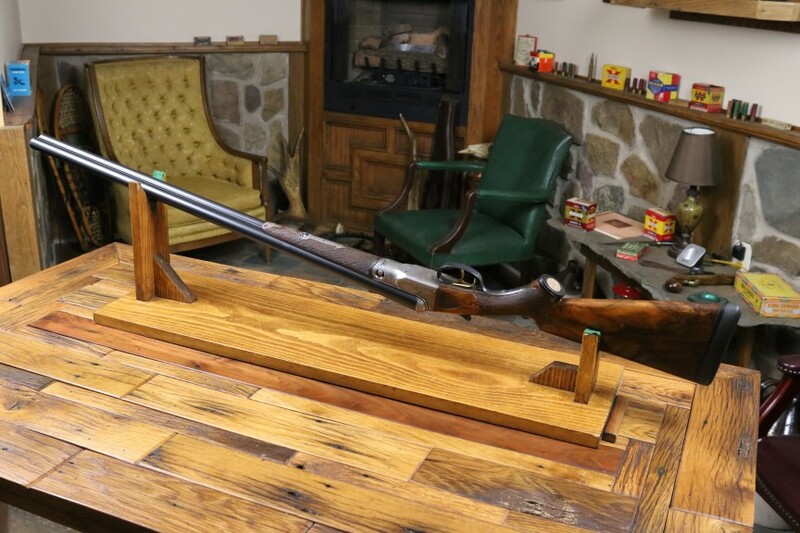 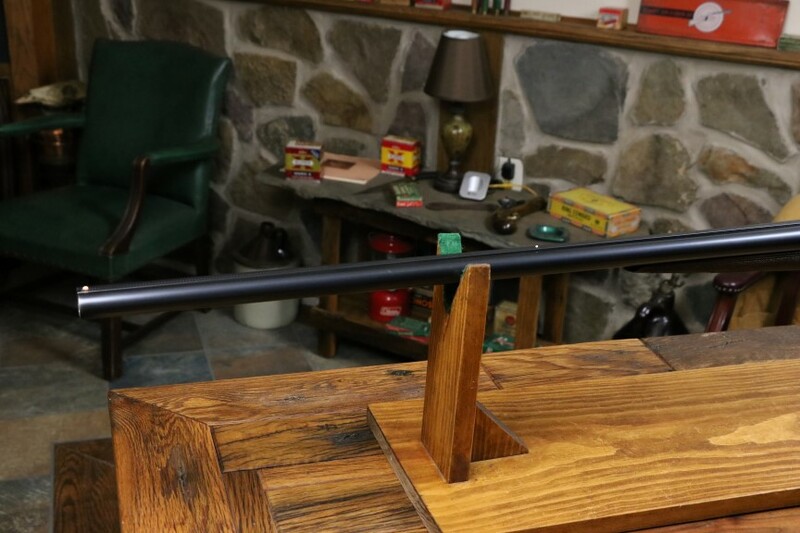 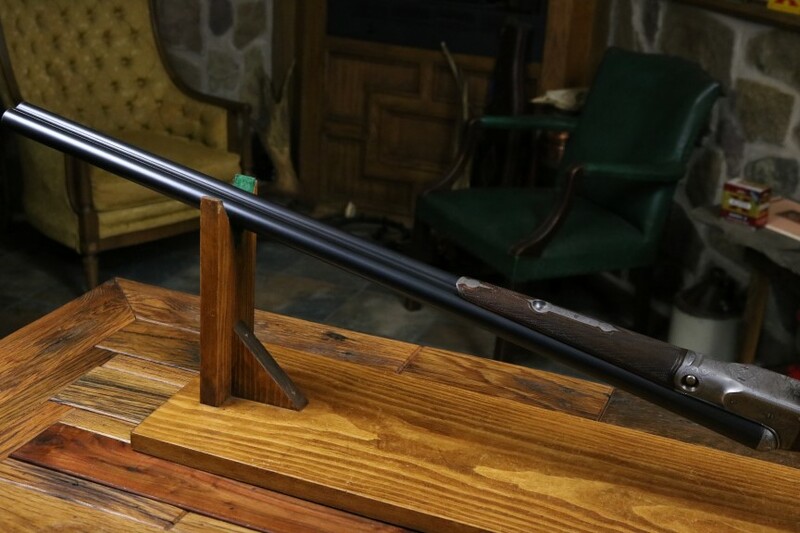 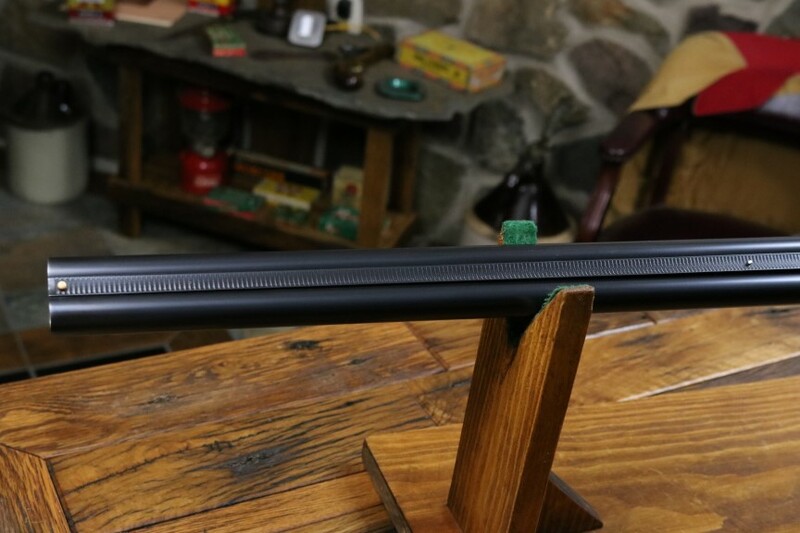 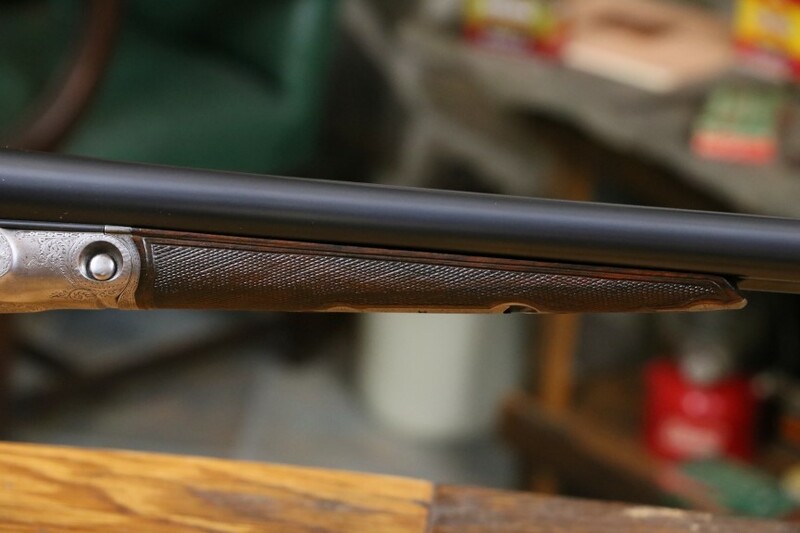 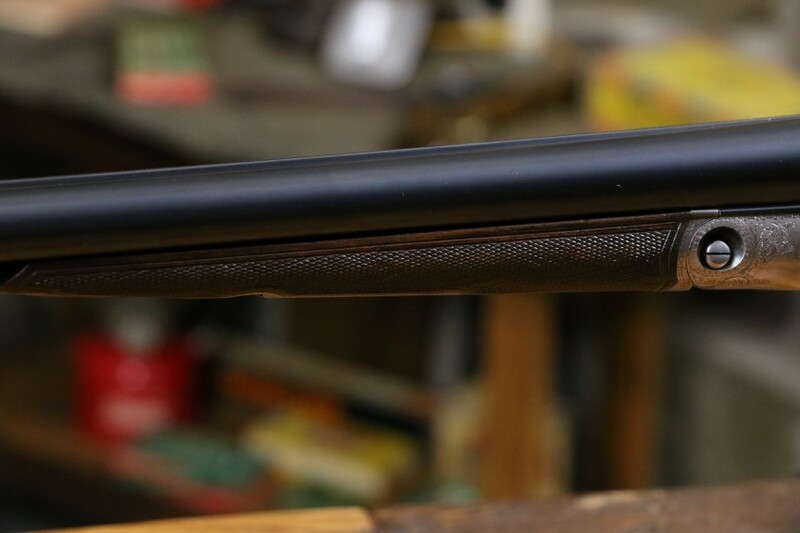 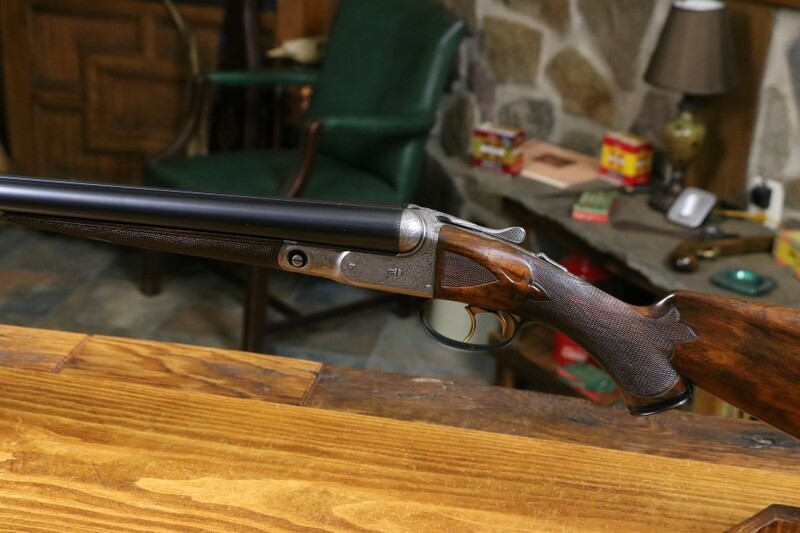 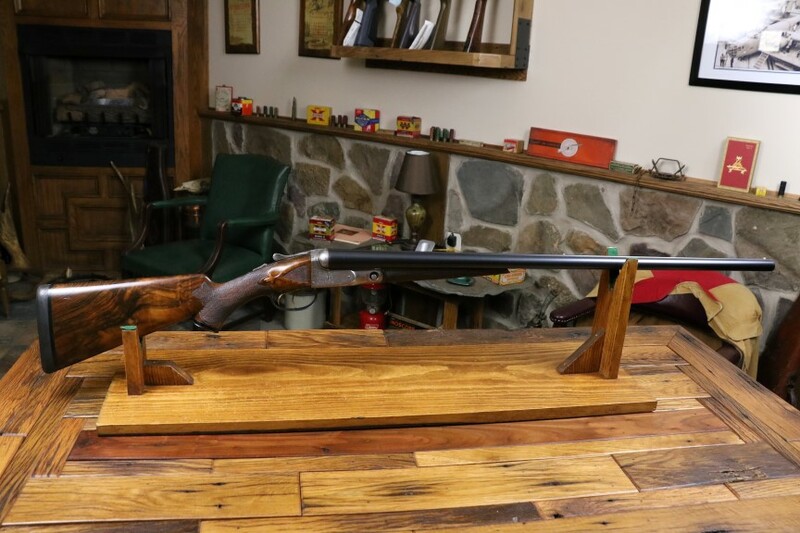 Included is a copy of its Parker research letter that describes this great shotgun. 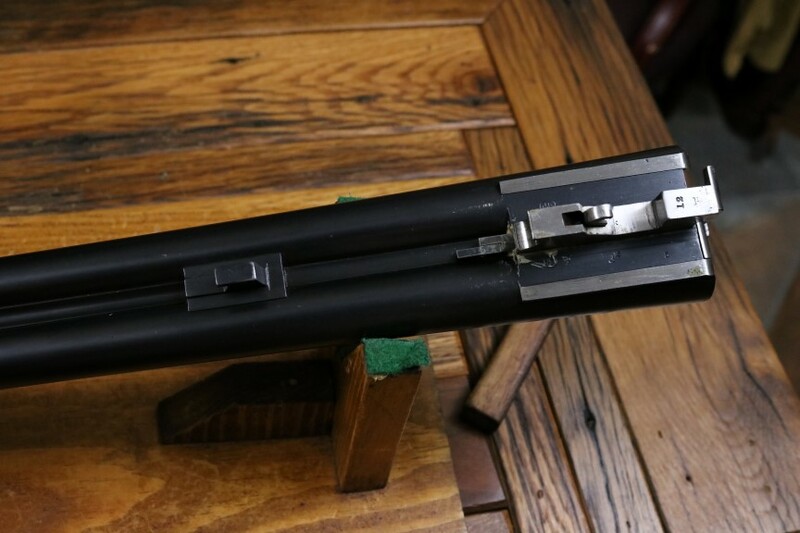 It is 12 gauge 30 inch barrel ejector gun with double triggers which are factory reversed (front trigger fires the left barrel) with the front trigger being articulated. 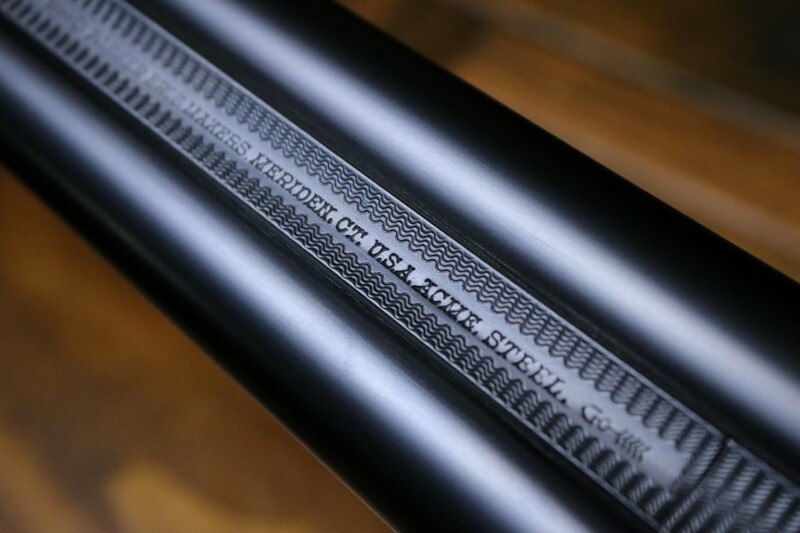 ACME Steel barrels with chambers that are the original 2 1/2 inches. 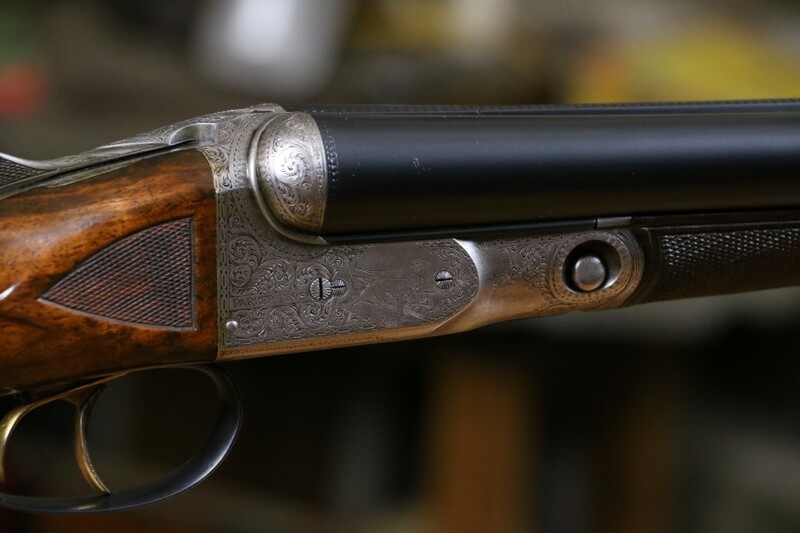 The chokes are Improved Cylinder and Full. 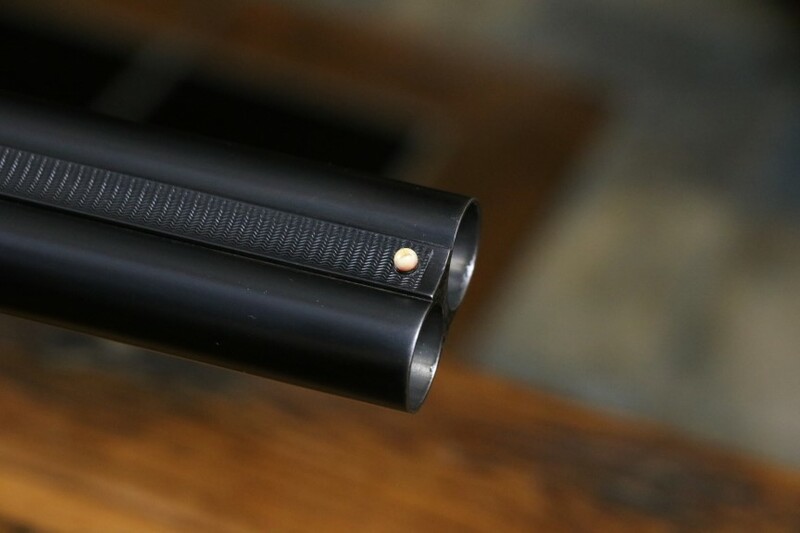 Length of pull is 14 1/2 inches from the front trigger over a Pachmayr pad. 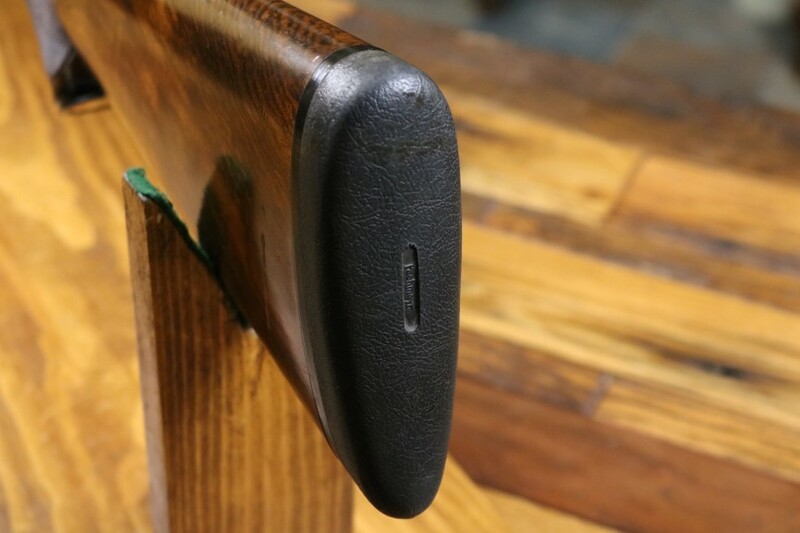 Dimensions are great; Drop at heel is 2 1/4 inches and drop at comb is 1 1/2 inches. 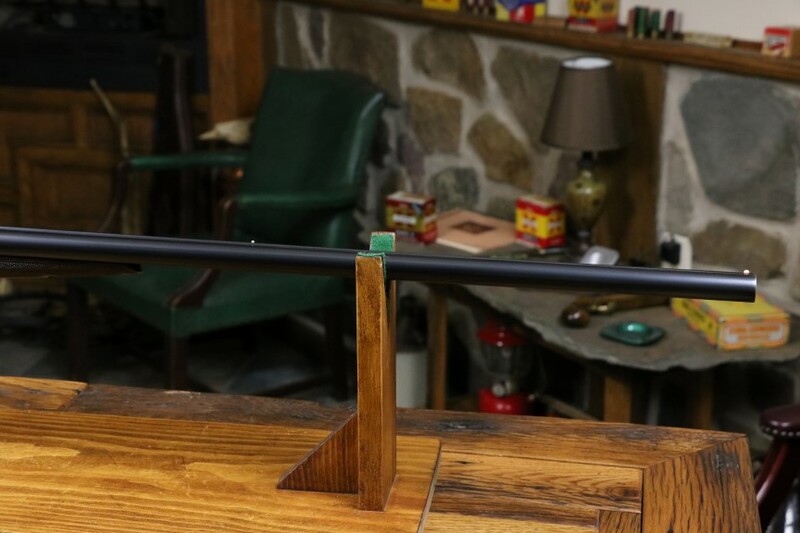 Weight is light at 7 pounds 5 ounces. 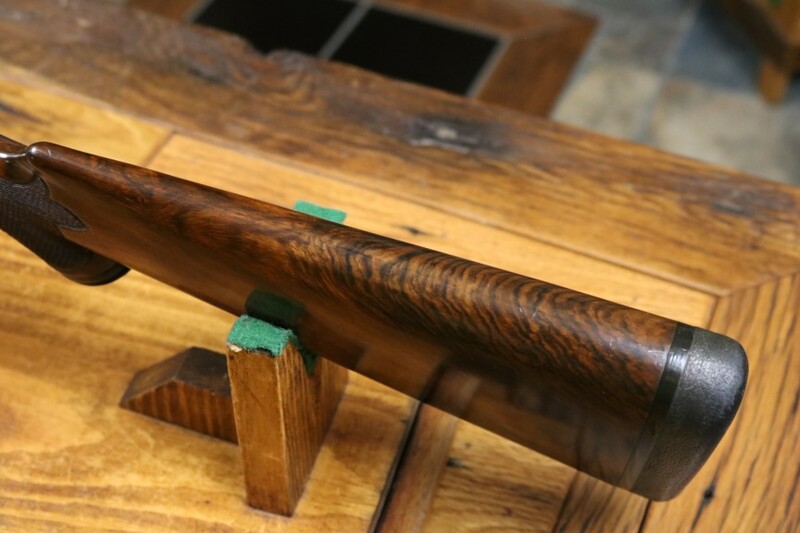 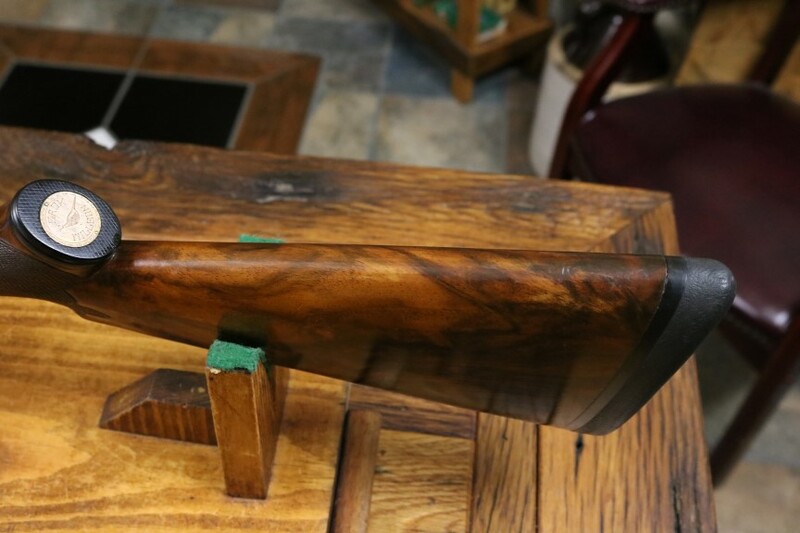 Excellent bore and straight barrels retaining 95% of an older and nicly done restoration. 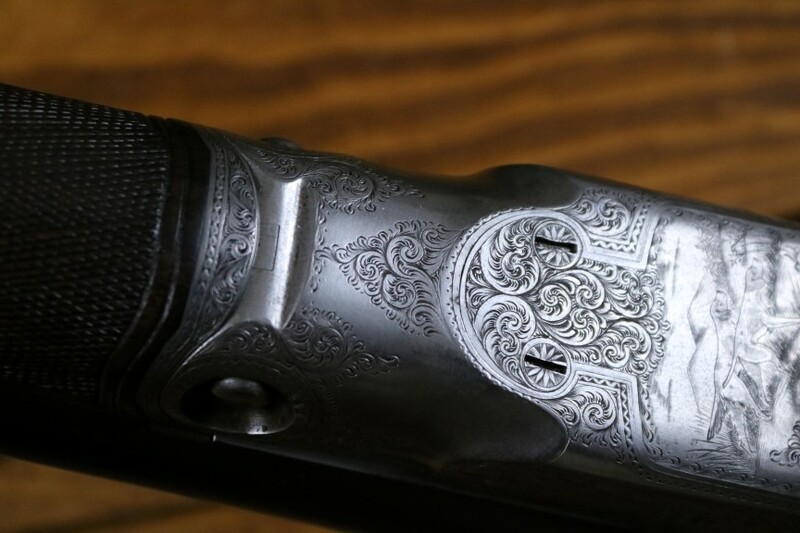 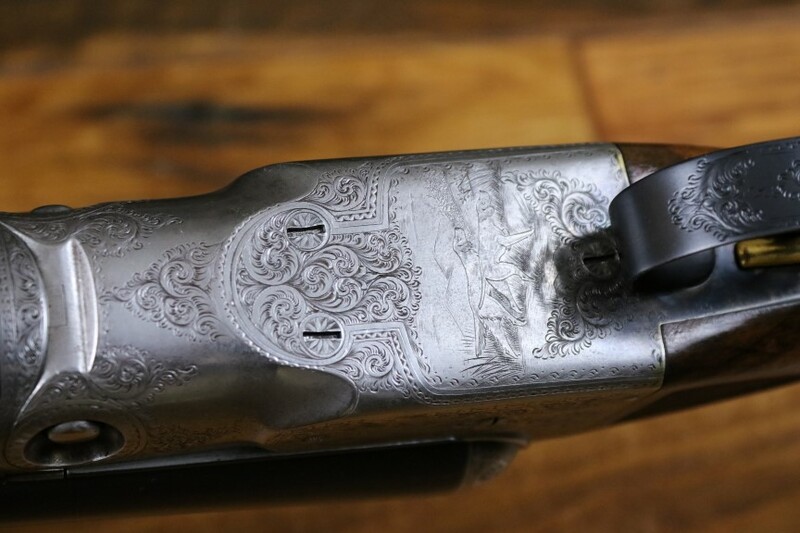 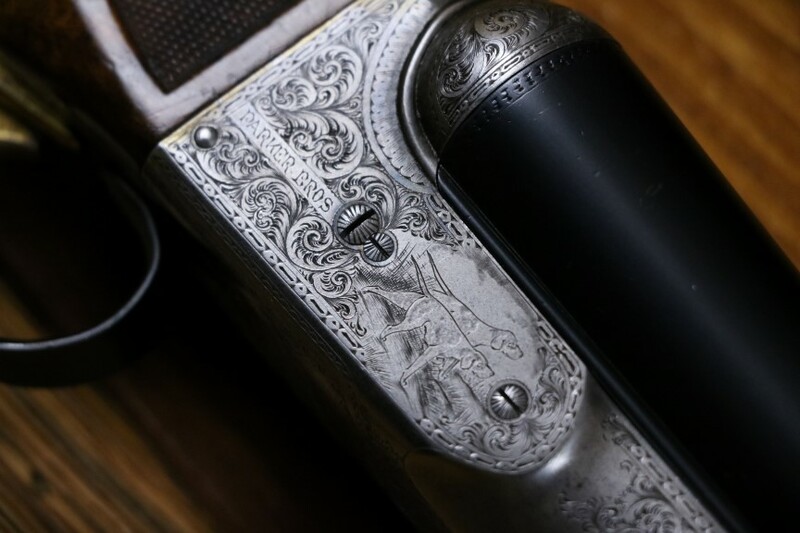 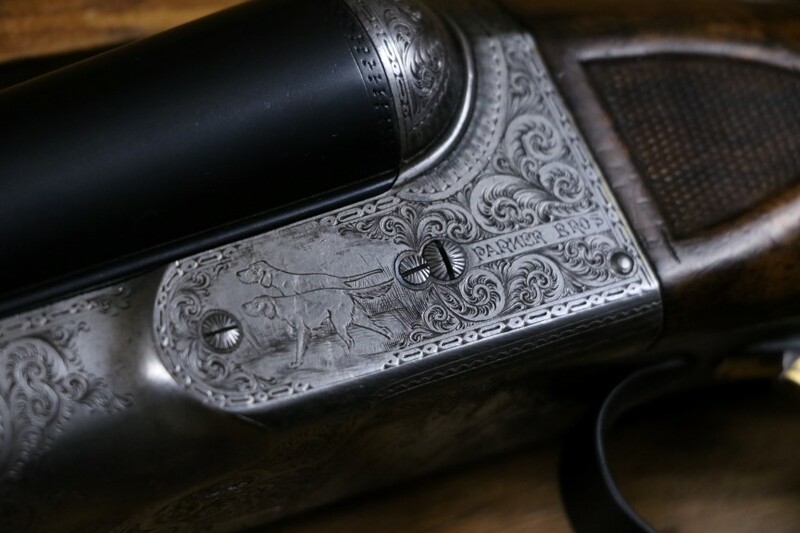 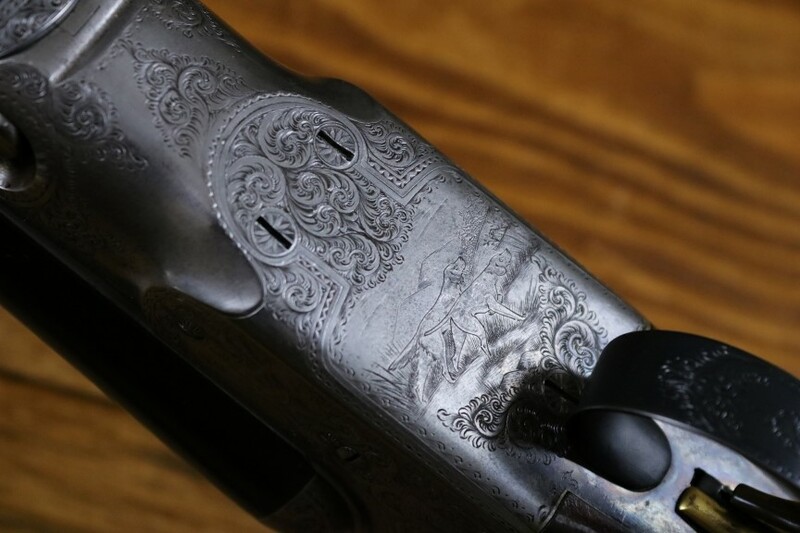 The B grade receiver engraving is nice and sharp with multiple dogs and fine scroll. 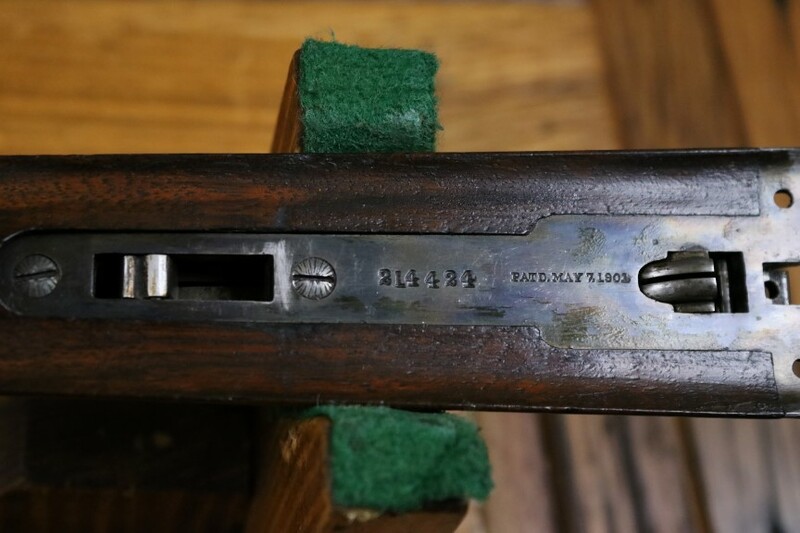 Excellent timed screws. 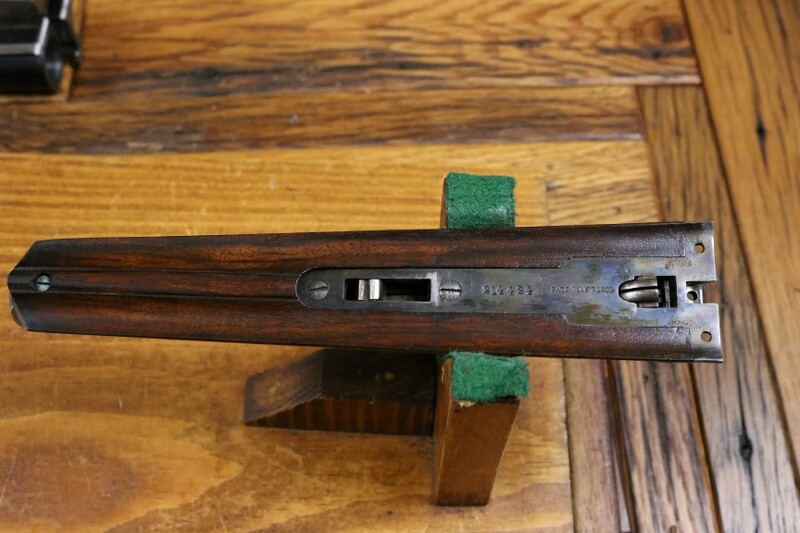 There are traces of original case color here and there. 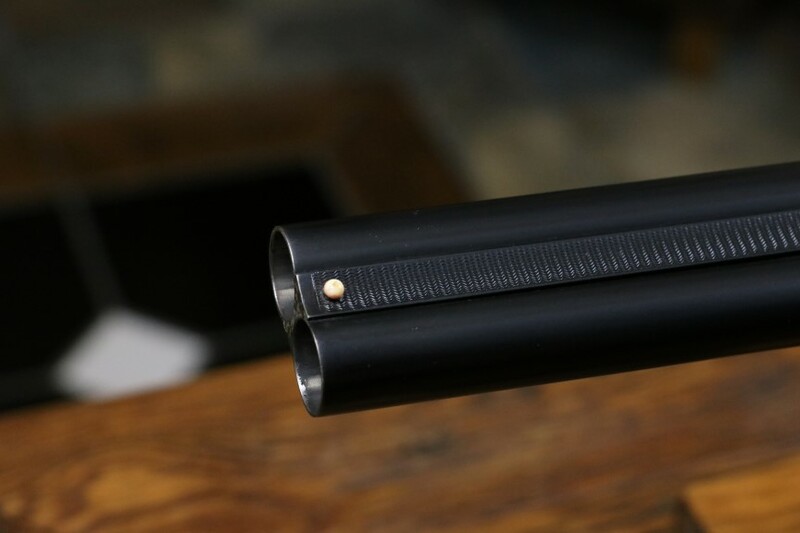 The shotgun is tight with strong ejectors. 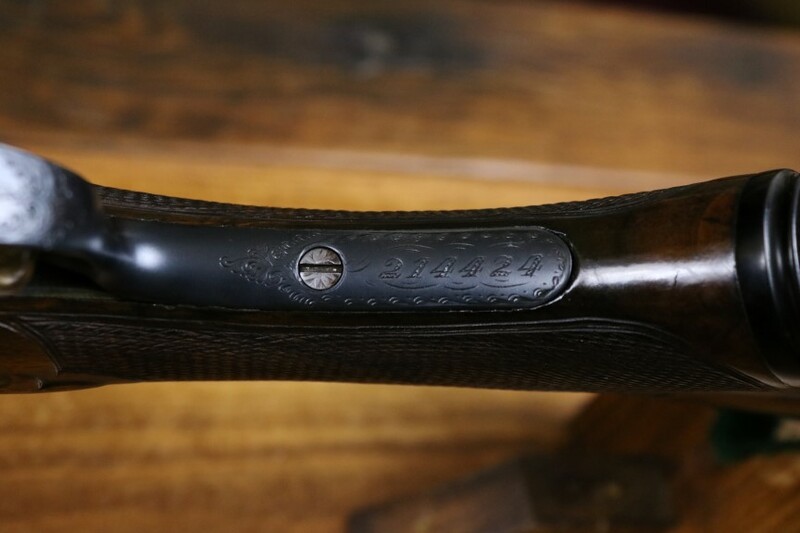 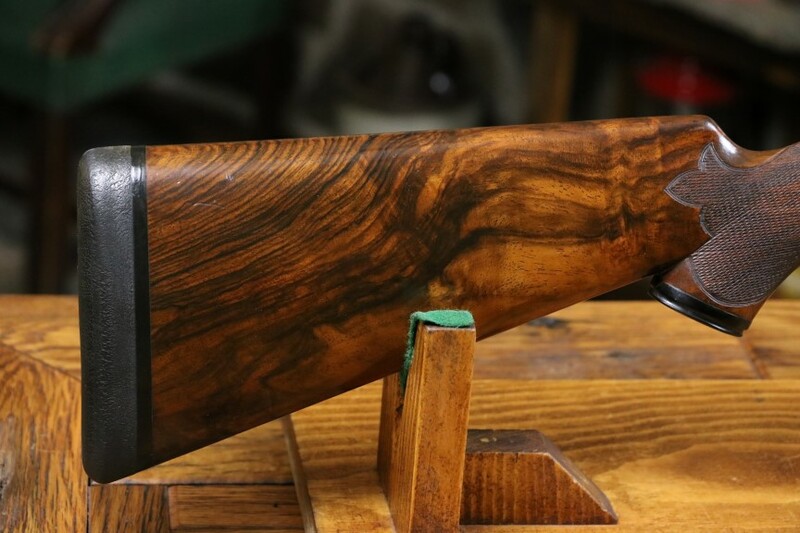 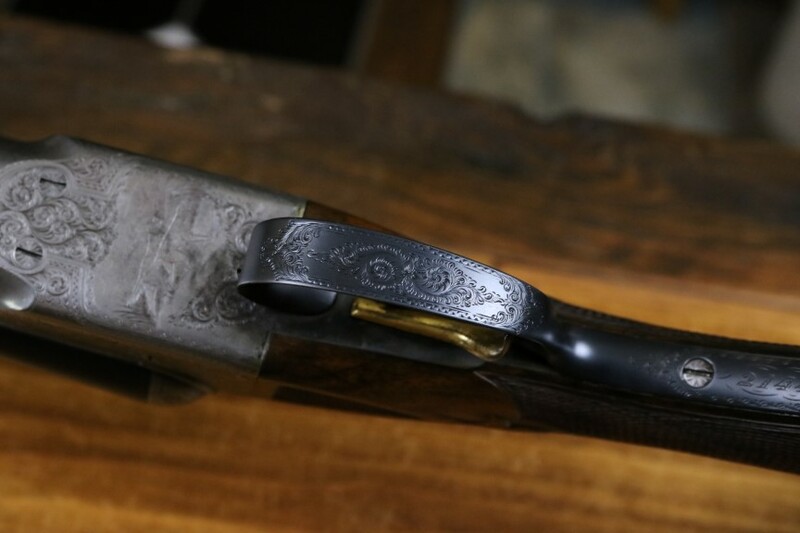 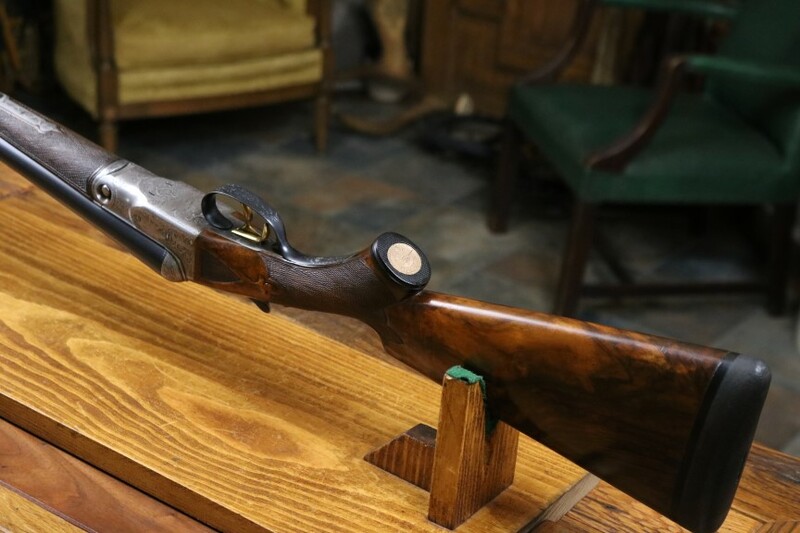 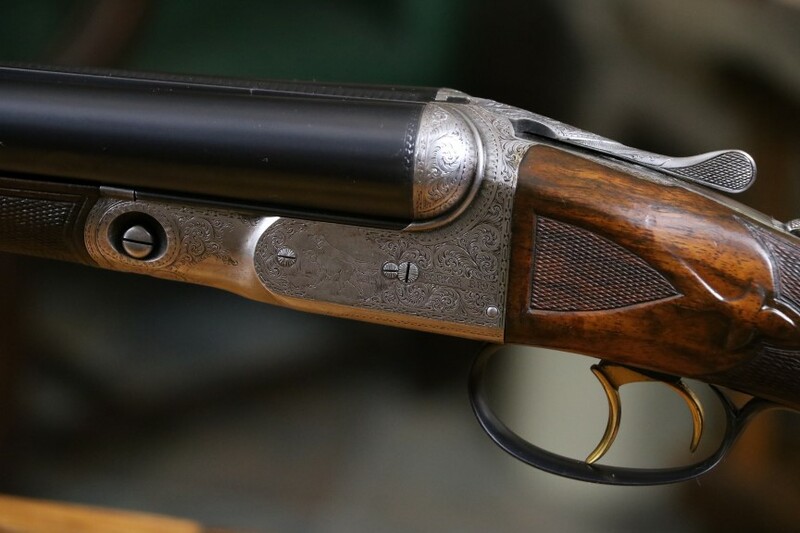 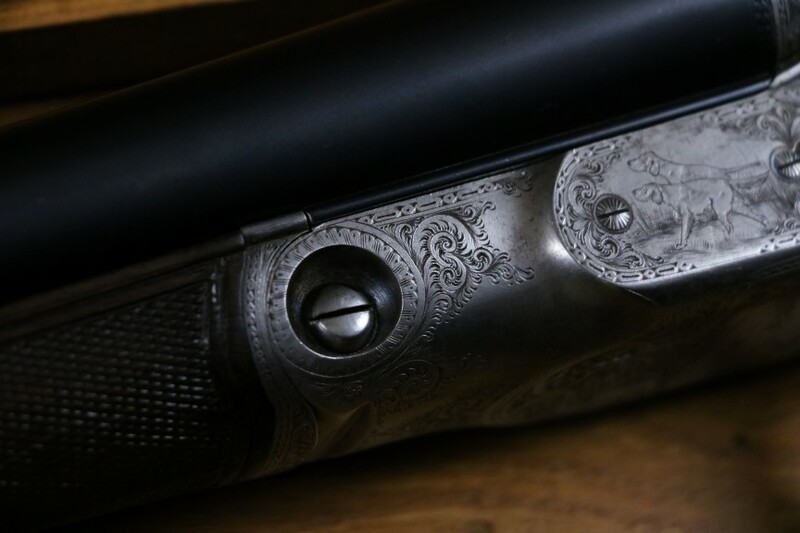 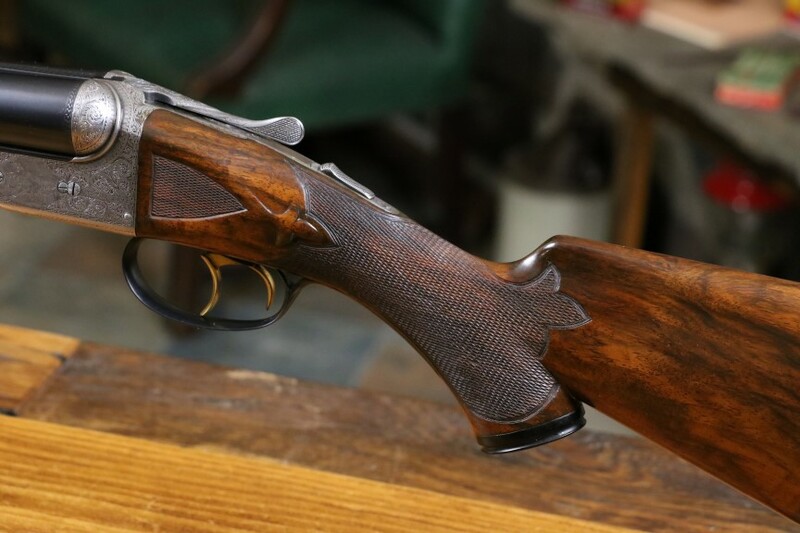 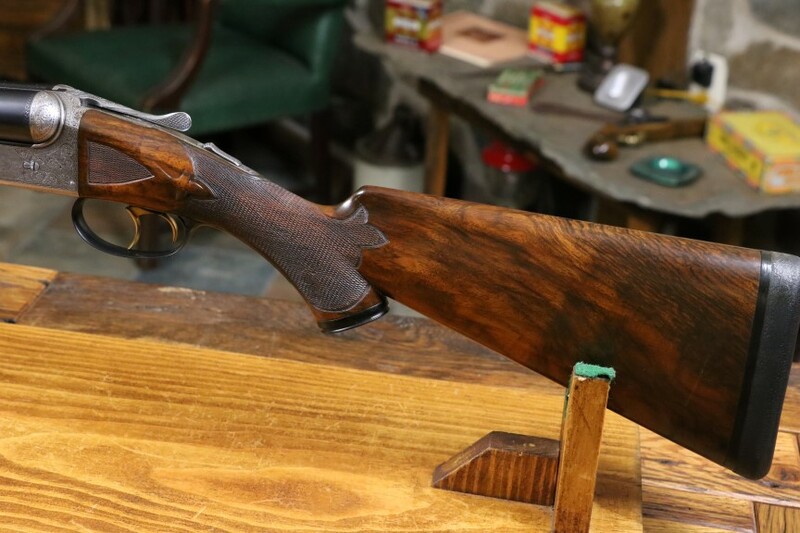 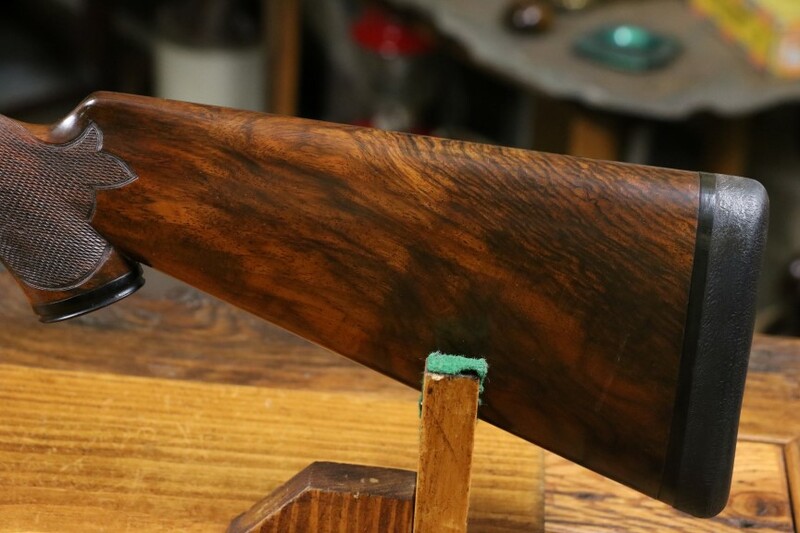 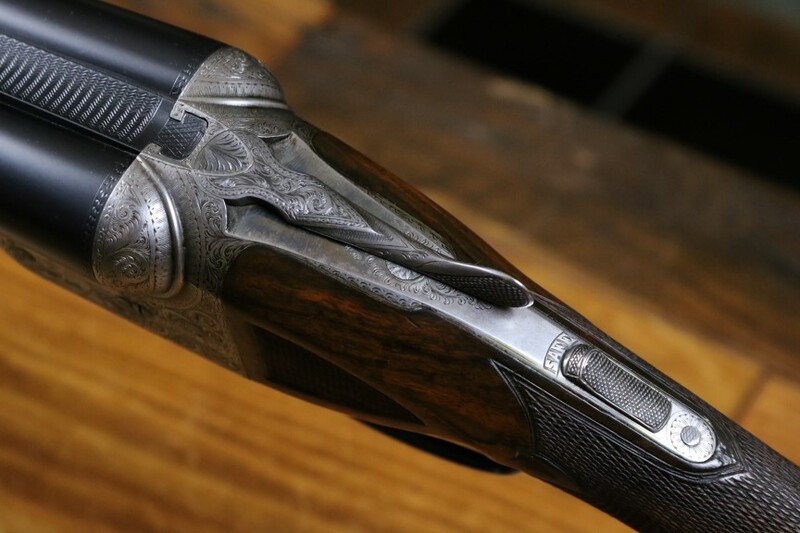 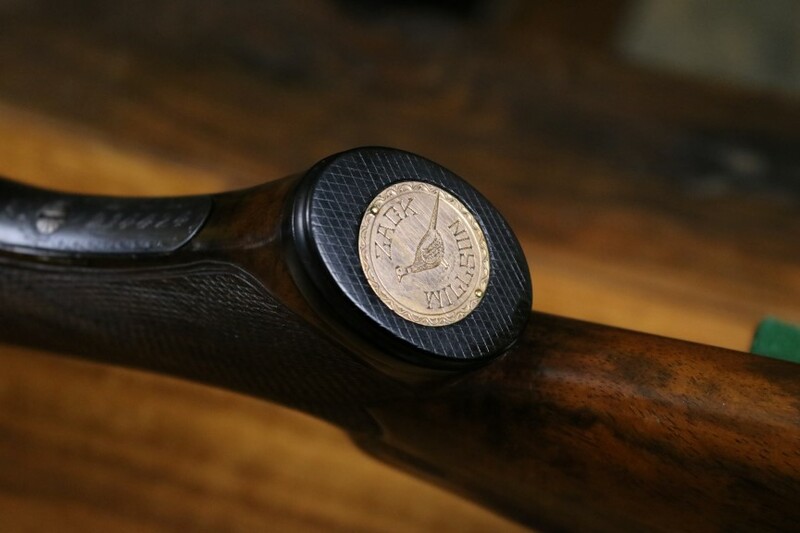 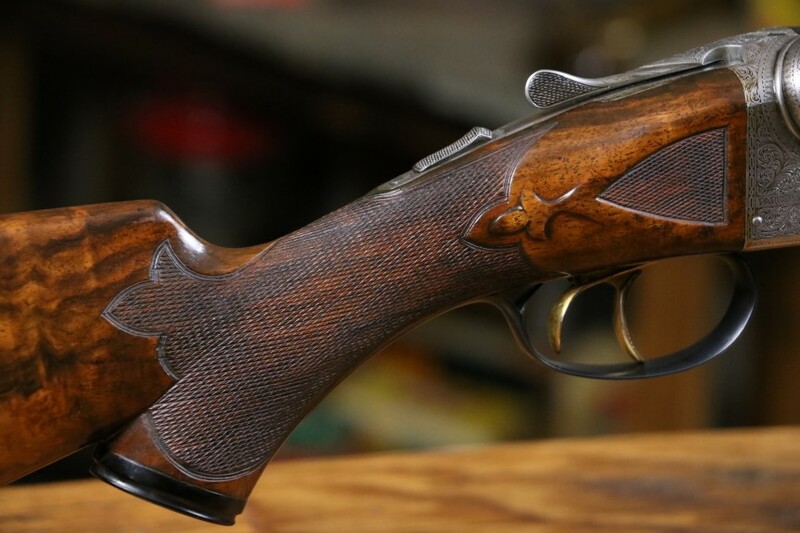 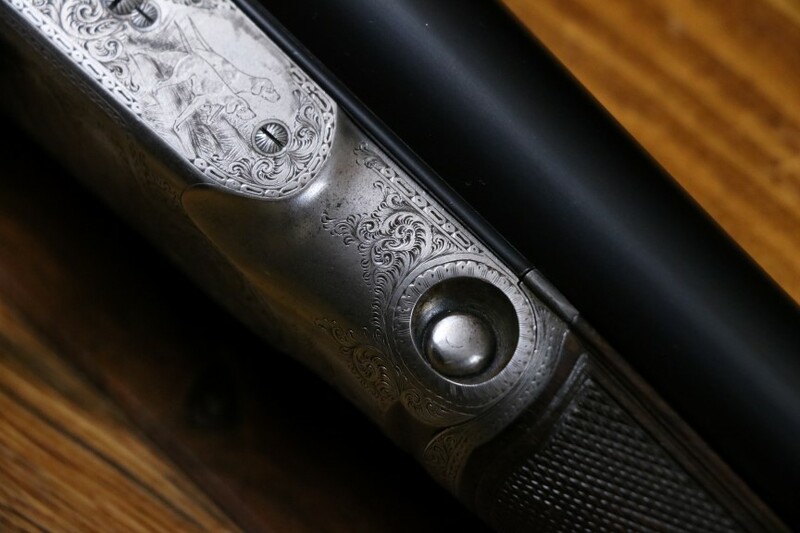 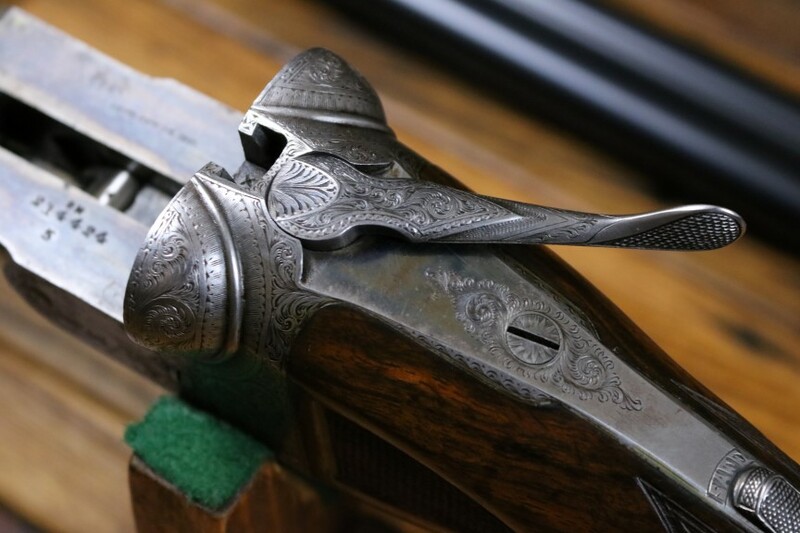 The wood is very pretty and original to the shotgun having been redone nicely in the past and still has strong checkering and fluer de lis drop points. 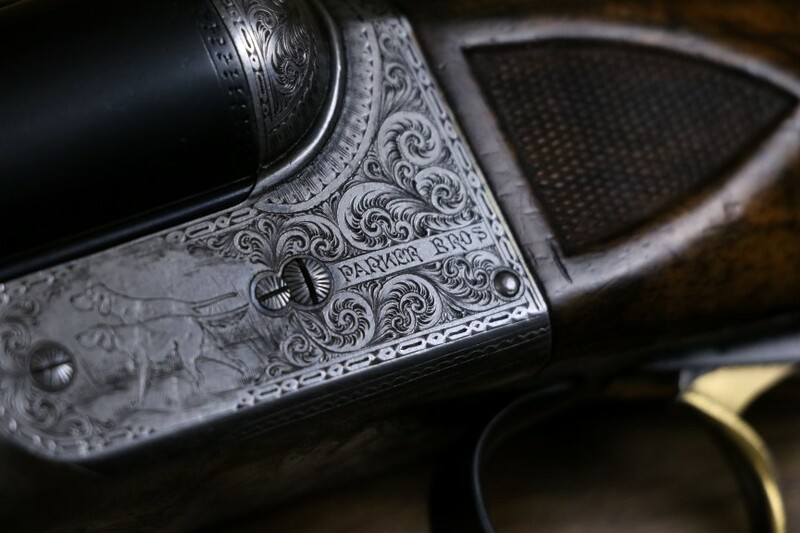 This is very pretty Parker BHE with great shooting dimensions and Parker research letter. 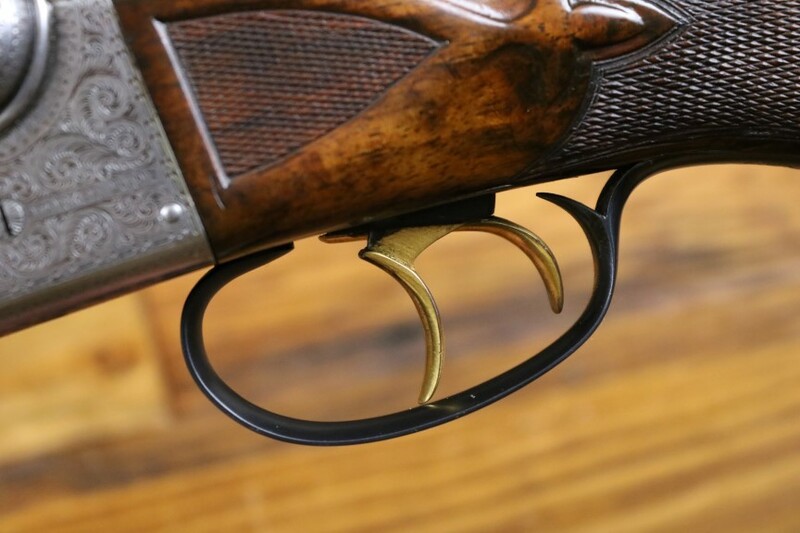 One of the nicer B's you are likely to find.